Romania is a fascinating gem of Eastern Europe, blessed with intriguing history, rich culture and stunning mountain landscapes dotted with wildflowers, traditional villages and medieval castles. Start out in Bucharest, Romania’s dynamic capital, where you can explore the city’s parks, museums and eclectic architecture while preparing to tackle Romania’s picturesque countryside. Head to the Transylvania region for castles, culture and the spectacular scenery and abundant wildlife of the Carpathian Mountains; and hike the dramatic limestone ridges and gorges of Piatra Craiului for exceptional views of the Southern Carpathians. 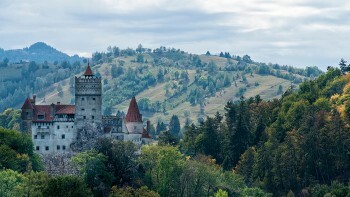 Experience the legends of Dracula with a walking tour of the imposing Bran Castle; hike among stunning alpine forests, flower-laden meadows and ragged limestone cliffs in the Bucegi Mountains; and cycle or cruise along the stunning waterways of the Danube Delta. Discover fairytale villages with wooden churches, horse-drawn carts and cultural traditions that have changed little over the ages; and enjoy the friendly welcomes waiting for you as you cycle through rural towns and arrive at each night’s refuge. 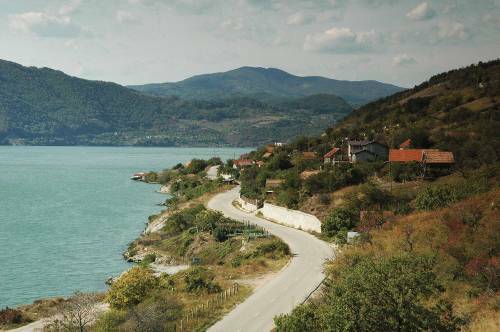 Check out our range of unique walking, cycling and cruising holidays and start planning your Romanian adventure! A walking tour of Bran Castle will give you a further insight into the origin of Dracula. The 'Transylvanian Alps' covers a third of Romania, brimming with culture, wildlife and stunning mountain scenery. Explore wooden churches, horse drawn carts and rich traditions of villages that have changed little over the ages. Walk in the Bucegi Mountains, home to a diverse range of landscapes from pine and beech forests to flower laden meadows and high limestone cliffs. Hike the gorges and ridgetops of Piatra Craiului for exceptional views. Electricity in Romania is 230 Volts, at 50 hertz. The most common pin type is C. (2 round prong).